My children, you are not united by chance. Right after Our Lady calls us to live love she tells us something startling. “My children, you are not united by chance. The Heavenly Father does not unite anyone by chance.” What could she mean by this? As I pray on it, it seems to me that she knows what she is talking about. She wants us to know that we have been called by the Father in a special way. But who are ‘we’? Of course, ‘we’ must be those who have responded to Our Lady’s call from Medjugorje. Those who listen to her messages and put them into practice. Those who love Medjugorje, the place where Our Lady resides, bringing heaven to earth. We have been united by Our Lady. And this is a work of the Heavenly Father. He is uniting us in prayer and love so that together we can help Our Lady Triumph. 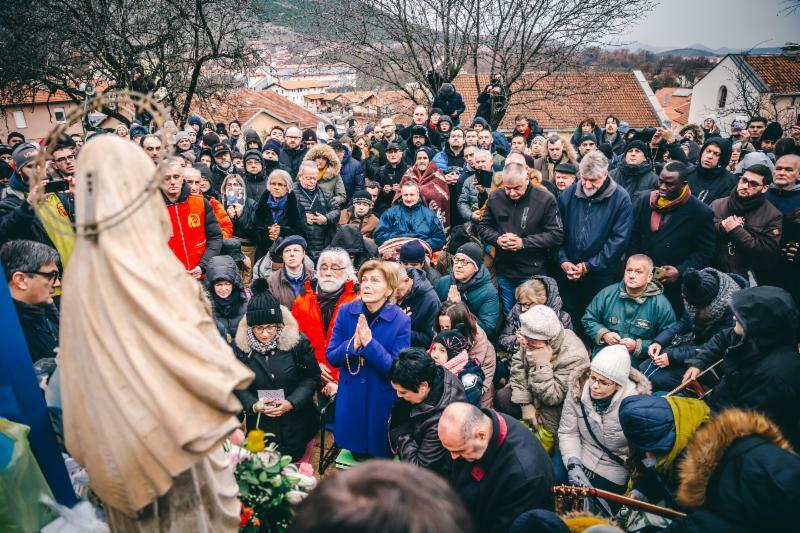 Mary TV was begun it seems by inspiration from Our Lady of Medjugorje, to provide a way for her children around the world to be united in prayer and love. It was a little idea that has grown into a big reality, through grace and faith. I feel like Our Lady was talking to us, shipmates, as one of the groups that the Father has united. How else could Mary TV have made it this far!! I like the analogy of the umbilical cord! Yes, we are being kept alive, nourished, by Our Lady in Medjugorje, and Mary TV provides a way to be near Mother Mary, near enough for her to take care of us all!! And so, our unity is not by chance. Our Unity has been provided by the Heavenly Father. And it is a unity of love, as children love each other because they have the same mother!! Our unity is a source of peace and strength for each one of us, and a way to love the Heavenly Father as well. We are so blessed to have each other!! Thank you for responding to Our Lady’s call! We bless one another when we do! https://marytv.tv/wp-content/uploads/2016/12/MaryTV-Logo.jpg 700 700 Cathy Nolan https://marytv.tv/wp-content/uploads/2016/07/weblogo_sm_1.0.png Cathy Nolan2019-02-08 02:29:372019-02-08 02:29:37My children, you are not united by chance. Instruments of faith and love! Oh Immaculate Heart of Mary, pray for us!